Video still from Imperial Metals rehabilitation work on Hazeltine Creek. Mount Polley was given permission for a restricted re-start by the provincial government today. Production is authorized at half the normal rate, says BC's ministry of energy and mines. Imperial Metals will require 30 days to begin production. During restricted operations, the company expects to provide jobs for up to 220 workers. Some of the conditions for starting will be no water discharge off the site, said Minister of Energy and Mines Bill Bennett. The company will need to obtain a permit in the fall to begin treating and discharging water. “This conditional restricted permit to re-start operations is the first of three significant steps the company needs to continue operation and does not include the ability to discharge water off the site,” said Bennett. Mount Polley's tailings pond breached in August 2014. VICTORIA – Minister of Energy and Mines Bill Bennett and Minister of Environment Mary Polak announced today that after careful evaluation, statutory decision-makers with the ministries of Energy and Mines and Environment have conditionally authorized the Mount Polley Mine Corporation to begin restricted operations. The Mount Polley Mine Corporation estimates it will take about 30 days before it can begin production now that ministry staff have amended the company’s Mines Act and Environmental Management Act permits. During restricted operations, the company expects to provide jobs for up to 220 workers. The amended Mines Act permit authorizes the company to operate at roughly half the rate of normal operations. The tailings facility will not be utilized during the operation. Mount Polley Mine will use Springer Pit, an existing open pit on the mine site, to manage the tailings. “I know the re-start of the mine is welcome news for the communities of Likely, Williams Lake, 100 Mile House and the families that depend on the jobs the mine provides,” said Bennett. Water and tailings levels in Springer Pit must remain 20 metres below the top of the lowest pit edge (1,030 metres above sea level). No discharge off the mine site is authorized. The company must apply for a permit to treat and discharge water. 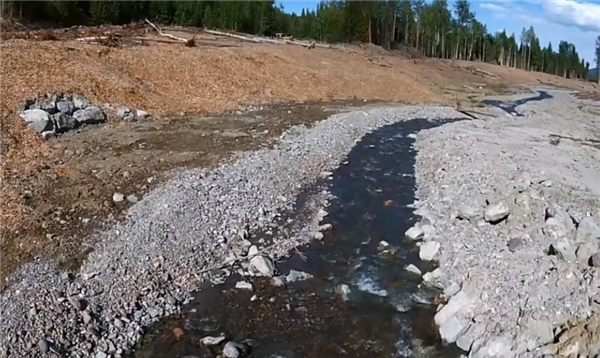 Mount Polley Mining Corporation is not permited to use its tailings storage facility (TSF). The company must pay an additional $6.1 million reclamation security. A five-year mine plan and reclamation plan must be provided to government by Sept. 30, 2015. An updated surface and groundwater monitoring plan must be submitted for approval by July 31, 2015. A long-term water treatment and discharge plan must be submitted to government by June 30, 2016. The mine will not be permitted to continue to operate if it fails to meet this deadline. Inspectors with the Ministry of Energy and Mines will be onsite during the initial start-up period and will conduct regular site inspections once the mine is operating. Additionally, permit conditions require the company to provide weekly reports to government, First Nations, the Cariboo Regional District the community of Likely, detailing water management and water quality results. If necessary, ministry inspectors have full authority to issue stop work orders for any area of the mine found to be in non-compliance. “When re-start operations commence, protection of the environment will be ensured through the terms and conditions contained within the permit, as well as ongoing monitoring by ministry staff,” added Polak. Prior to approval, the company’s re-start application included a 30-day public consultation period and underwent a detailed technical review by members of the mine development review committee (MDRC). The MDRC consisted of representatives from provincial agencies, First Nations, local governments (City of Williams Lake and Cariboo Regional District), the community of Likely, the Department of Fisheries and Oceans and Environment Canada.